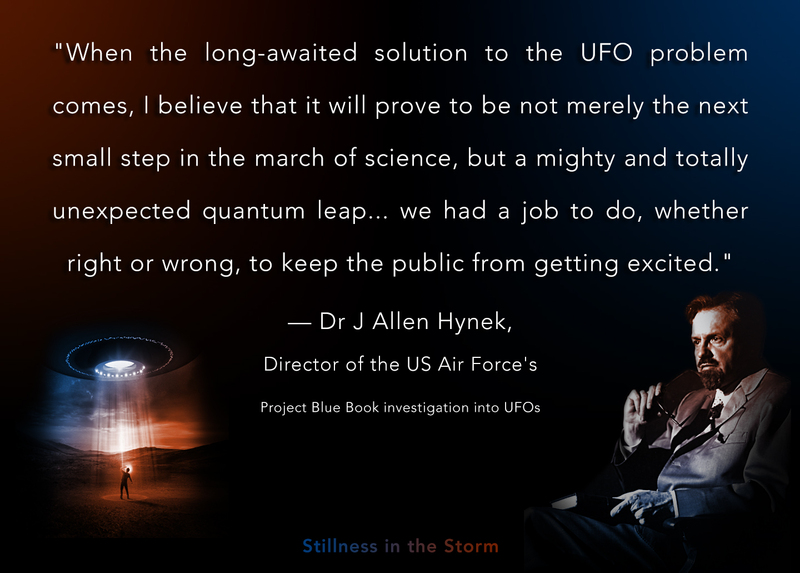 (Stillness in the Storm Editor) The UFO issue and extraterrestrial question is one that almost everyone asks themselves at some point in their lives. But in sharing information with the average person, who is dependent on the media to tell them what is real, sharing one's insights about these topics can be difficult. But what if there existed within the annals of history, a preponderance of quotes, statements, and views from officialdom lending credence to the fact Earth has been visited for some time and that behind closed doors, investigation of life on other worlds is taken very seriously? The following is a list of 23 views that are handy to share during discussions with the less aware masses. One of the effects of external motivation and conditioning techniques used by modern society is an over emphasis on images of reality instead of reality itself. What is an image of reality? It is a representation, an analog. For example, a news story about an event that describes aspects of what happened is not the event itself. The more people depend on others to tell them what is real the less able they are to discern reality for themselves. People tend to believe things based on who is saying them instead of what is being said. The image of the person sharing the information, their credibility, prestige, and stature in society, is leveraged against the undiscerning masses who blindly believe anything that comes out of their TV screens. What this means is that unless you, someone who is trying to share information, have social prowess in the community—like having an "expert title"—most people dismiss anything you have to say that doesn't agree with their pre-existing beliefs. Such a person, due to their image training, is what I would define as an image blind person—unable to see reality because they are blinded by their images of it. Given that the vast majority of Earth's population appears to be image trained and suffers from image blindness, one needs to develop a certain technique for sharing information in a way that can be received. One way to do this is to share information with people from "credible" sources, hopefully stimulating their desire to know more. In this case, the views below are from sources that the vast majority of people would consider to be credible. With these points, one can leave a trail of breadcrumbs for others to follow. I know you've mentioned some general interest in UFOs and ETs before. And I know you might think its all BS, but have you seen what these officials had to say? If they believed it was real, maybe we should investigate these things personally? Sometimes, all that need be done is spark a person's curiosity, and leave them wondering for more. Thus, with this technique, it might be better to share one data point and then walk away. Allow that information to sink into the person's mind. If they are really interested afterward, they'll seek for more. And if they never ask about it again, you know they probably aren't ready for all that you have to share. For other tips on how to share the truth, see the following article. 1. 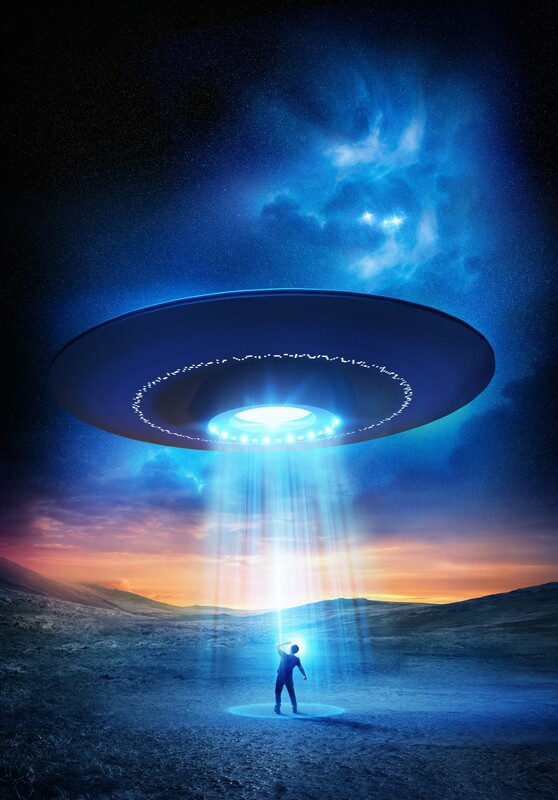 Astronaut Edgar Mitchell, former NASA astronaut, has claimed that aliens exist and their visits are being covered up by the United States government. Mitchell is in good company in his beliefs. Here we highlight 12 other public figures who believe that extraterrestrials may have been visiting our planet over the last 100 years. 2. Astronaut Gordon Cooper, wrote a letter addressed to the United Nations in 1978 asking the organisation to set up a research programme to study UFOs. It was in 1951 when the astronaut was driving an F-86 over Germany that he spotted saucers. He later went to space on Mercury 9 in the year 1963 and on the Gemini 5 in ’65. 3. President Jimmy Carter, US President from 1976 to 1980, promised while on the campaign trail that he would make public all documents on UFOs if elected. He said: "I don't laugh at people any more when they say they've seen UFOs. I've seen one myself." 4. Senator Barry Goldwater, (1965) tried to gain access to a secret building at Wright-Patterson AFB rumored to house top UFO material, but is refused. 5. Walter Cronkite, one of the most trusted reporters and anchorman on TV. In the 1950s, Walter Cronkite was invited to a Pacific island with other reporters to observe an Air Force display of their new missile. As it launched, according to Cronkite, a flying object in the shape of a disc hovered in the sky. The UFO later fired a bluish beam towards the missile but it also hit an Air Force security personnel and his dog. The security guard, the dog, and the missile froze in place after the beam hit them, reports say. The reporters, in shock, were told by a colonel that the Air Force has been working on a new technology and wanted to test how people will react when they see it in action. Cronkite and other reporters were told not to report the incident. 6. 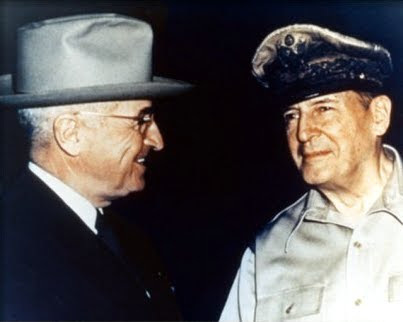 President Harry S. Truman, Truman climbs on board: "I can assure you that flying saucers, given that they exist, are not constructed by any power on earth"
7. President John F Kennedy, "The US Airforce assures me that UFO's pose no threat to National Security." 8. Air Marshall Azim Daudpota, Zimbabwe Air Force "This was no ordinary UFO. Scores of people saw it. It was no illusion, no deception, no imagination." 9. J Edgar Hoover, head of the FBI from its inception in 1935 to 1972, said of a famous incident when flying saucers were allegedly fired at over Los Angeles in 1942: "We must insist upon full access to disks recovered. For instance, in the LA case the Army grabbed it and would not let us have it for cursory examination." 10. General Nathan Twining, Chairman, Joint chiefs of staff, 1955-1958"The UFO phenomenon being reported is something real and not visionary or fictitious"
11. Monsignor Corrado Balducci, a Vatican theologian, said: "Extraterrestrial contact is a real phenomenon. The Vatican is receiving much information about extraterrestrials and their contacts with humans from its embassies in various countries, such as Mexico, Chile and Venezuela." 12. Professor Stephen Hawking: "Of course it is possible that UFO's really do contain aliens as many people believe, and the Government is hushing it up." 13. Professor Michio Kaku, "My own thoughts include, what if "they" aren't (all) from another planet? Even today we have people living at fairly advanced levels, technology-wise, while others remain in the Brazilian rainforest in the Stone Age, seemingly oblivious to our existence. Perhaps they've been here for a very long time, and we ourselves are almost oblivious to their existence?" 14. Albert M. Chop, deputy public relations director, (NASA) "I've been convinced for a long time that the flying saucers are real and interplanetary. Another words we are being watched by beings from outer space." 15. Dr. Herman Oberth, a Nazi rocket engineer who was taken to the US after the war and became one of the fathers of modern spaceflight, said: "It is my thesis that flying saucers are real and that they are spaceships from another solar system.There is no doubt in my mind that these objects are interplanetary craft of some sort. I and my colleagues are confident that they do not originate in our solar system." 16. Admiral Roscoe Hillenkoetter, (Former director of the Central Intelligence Agency)"Unknown objects are operating under intelligent control... It is imperative that we learn where UFOs come from and what their purpose is. I can tell you, behind the scenes, high ranking military officers are soberly concerned about the UFOs"
18. Dr J Allen Hynek, director of the US Air Force's Project Blue Book investigation into UFOs, said: "When the long-awaited solution to the UFO problem comes, I believe that it will prove to be not merely the next small step in the march of science, but a mighty and totally unexpected quantum leap... we had a job to do, whether right or wrong, to keep the public from getting excited." 19. Air Chief Marshal Lord Dowding, commander of RAF Fighter Command during the Battle of Britain: "I am convinced that these objects do exist and that they are not manufactured by any nations on earth." 20. 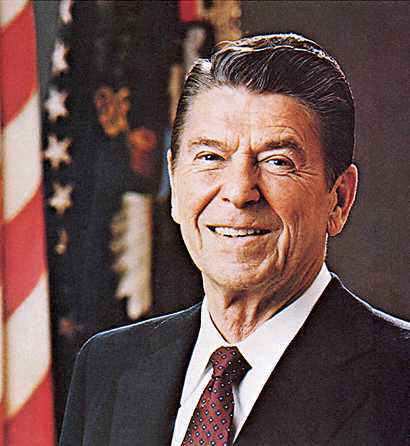 President Ronald Reagan, US President from 1980 to 1988, "I looked out the window and saw this white light.It was zigzagging around. I went up to the pilot and said, 'Have you ever seen anything like that?' He was shocked and he said, 'nope.' And I said to him: 'Let's follow it!' We followed it for several minutes. It was a bright white light.We followed it to Bakersfield, and all of a sudden to our utter amazement it went straight up into the heavens. When I got off the plane I told Nancy all about it." 21. Mikhail Gorbachev, the USSR's last head of state: "The phenomenon of UFOs does exist, and it must be treated seriously." 22. 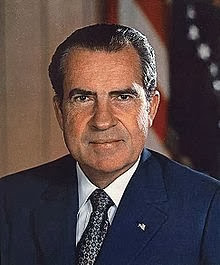 President Richard Nixon, US President from 1969 to 1974: "I'm not at liberty to discuss the government's knowledge of extraterrestrial UFO's at this time. I am still personally being briefed on the subject." 23.Dr. Walther Riedel, research director at the Nazi rocket research establishment at Peenemunde: "I am completely convinced that UFOs have an out-of-world basis." The original headline of this article was changed from "Famous People That Believe in UFOs, Aliens, ETs on Earth."